Curious to see how Helix and Purple measure up against one another? Each of these brands brings a unique product to market. 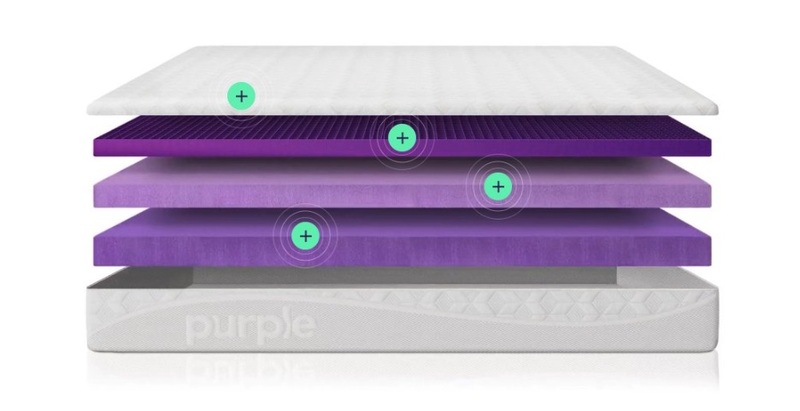 From Helix’s completely customizable shopping experience to Purple’s proprietary hyper-polymer elastic, both the Helix and Purple mattress distinguish themselves above the rest. Take a look at our easy-to-read comparison of these popular brands to see how they compare on factors like price point, responsiveness and pressure relief to determine which best suits your budget and sleeping style. Responsive Knit Cover: Soft and stretchy cover that helps maximize the flexing properties of the Smart Comfort Grid™. The breathable design also promotes airflow to help you sleep cool. Smart Comfort Grid™: Designed to cushion your shoulders and hips (pressure points), and support your body’s natural shape. Plush Comfort Foam: Soft, high-density polyurethane foam designed to enhance the responsiveness and feel of the Smart Comfort Grid™. Support Foam: Medium-firm, high-density polyurethane foam provides structural support to the mattress.